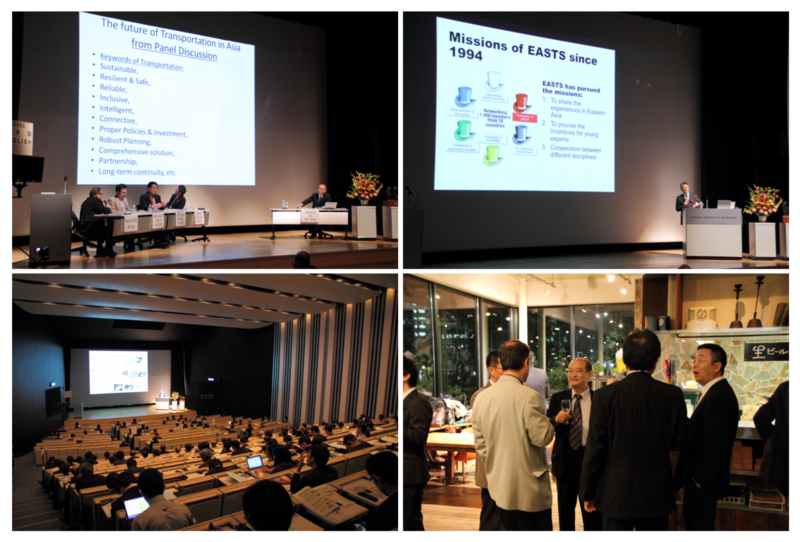 EASTS & EASTS-Japan 20th Anniversary International Symposium, titled as “Future of Transportation in Asia“, was successfully held in Tokyo on October 24th, 2014. 308 participants from many sectors in the EASTS countries had attended this event, including 71 students. The program of the symposium is on EASTS & EASTS-Japan 20th Anniversary International Symposium. Tetsuro Tomita: The JR East Group “Ever Onward” -Thriving with Communities, Growing Grobally-, EASTS & EASTS-Japan 20th Anniversary International Symposium: Future of Transportation in Asia, Eastern Asia Society for Transportation Studies (EASTS), October 24th, 2014, Tokyo, www.easts.info/easts20thanniversary/easts20thanniversary-011.pdf.